We have seen some cool factory Triumph motorcycles in the past with special paint and other cosmetic touches. 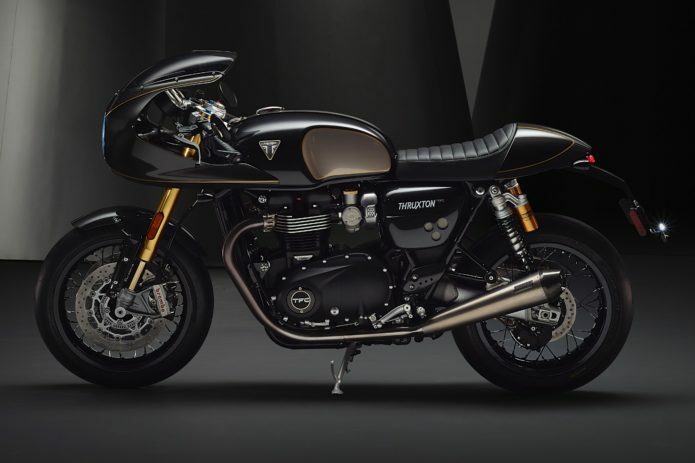 With the introduction of the new Triumph Factory Custom line, we will begin seeing motorcycles that have performance modifications, in addition to looking cool. Leading the way is the 2019 Triumph Thruxton TFC. Let’s take a look at what makes the TFC a Triumph Factory Custom, and why it might be the ultimate café racer.